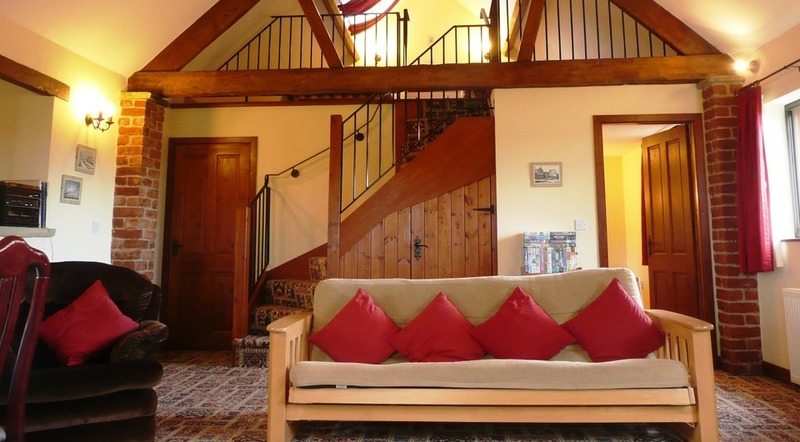 Apple Tree Cottage is a Grade II listed barn that has been sympathetically converted and restored to a very high standard to provide extremely comfortable self-catering accommodation. All the stone, bricks, roof tiles and exposed beams and trusses used came from the original building itself to preserve the character of the cottage. Fully equipped to meet all requirements, it is the perfect place to stay. King sized or small twin beds now available downstairs. Ideal for families with younger children. 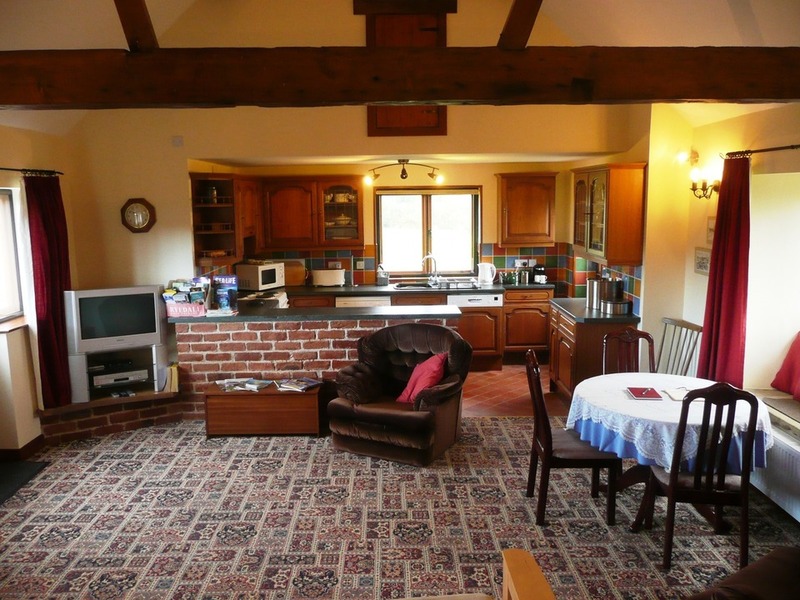 Inside the living area is open plan to the ceiling showing the original roof trusses and beams. The kitchen is fully fitted and has all modern conveniences including dishwasher, oven with extractor fan, fridge with freezer compartment, microwave, toaster, kettle and washing machine (tumble drying facilities available), and has a reclaimed quarry tiled floor. The living/dining area is fully carpeted and centrally heated and also has a small real flame electric stove to give the appearance of a real fire. The window seat looks out over rolling farmland to the south, and has stunning views. For guests entertainment there is a widescreen TV with freeview, video, DVD player, and books and games to suit all ages. 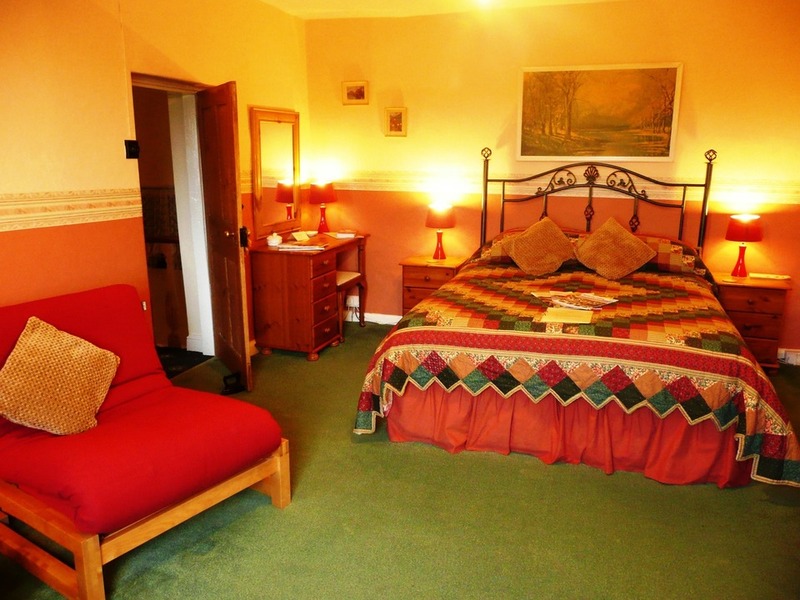 There are 2 bedrooms, a downstairs double, and a twin room upstairs, which is galleried over the living area, both of which have radio alarms and hairdriers. The bathroom is downstairs and has both bath and shower facilities. The sofa converts into a large double bed, giving comfortable accommodation for up to 6 people. Outside there is an enclosed patio area to the rear, with outdoor furniture, barbeque and outdoor drying facilities. To the front the garden has a lawn, and both sides have wonderful views of the Yorkshire Wolds and our farm. Apple Tree Cottage is set in beautiful, peaceful countryside, next door to Howsham Wood, which is a designated Area of Outstanding Natural Beauty (AONB), and part of the Howardian Hills AONB. 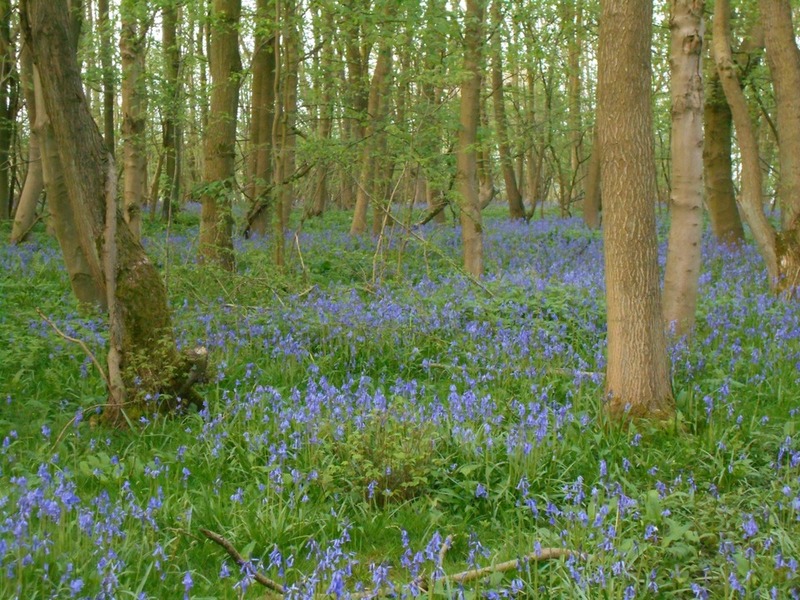 The wood is home to a wide variety of flora and fauna including bluebells and primroses in the spring, and a growing community of deer. Rates from £275.00 to £550.00 per week (depending on season) and include all linen and bedding, towels, water, electricity and heating . Short Breaks available. Minimum 3 night stay. Please contact us for more details. SORRY WE ARE UNABLE TO TAKE PETS AND WE OPERATE A STRICT NO SMOKING POLICY.